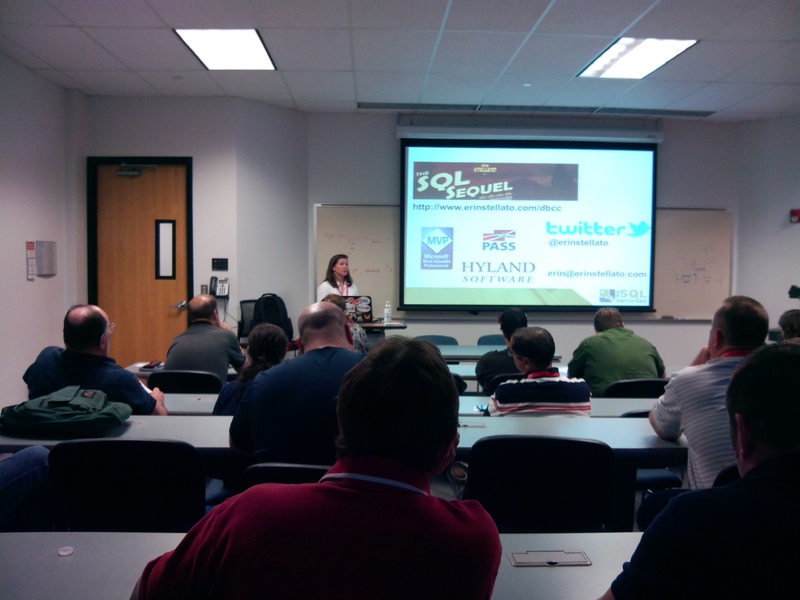 SQLSaturday Chicago 2012 – Fan-tabulous Event Again! Then Saturday rolls around. Get a workout in, grab a coffee and bagel, then head over to DeVry. It was the wrong DeVry campus of course but someone points me to the right place and I make it in plenty of time. I skipped first session to get prepared for my presentation in the speaker room. My session was the second of the day which was a pretty good slot. I like getting the morning sessions so I can get presentation out of the way then relax and enjoy sessions for the rest. Then show time arrives. I had a really good crowd (probably around 35 people). I was in the same time slot as Mr. Ozar which is always disheartening but I was doing a B.I. topic so bit different audience than his. My presentation went pretty good. I always sweat the small stuff but just part of my nature. And I always want to make sure I am constantly improving so just part of the process. I had some great B.I folks in the room too which was very helpful. I would not consider myself a B.I person really but want to learn portions of it better. I was very lacking on my SSIS so I picked up this session topic as a challenge to myself to learn. I don’t think there is any better way to dig deep and learn something than to prepare a presentation on the topic. 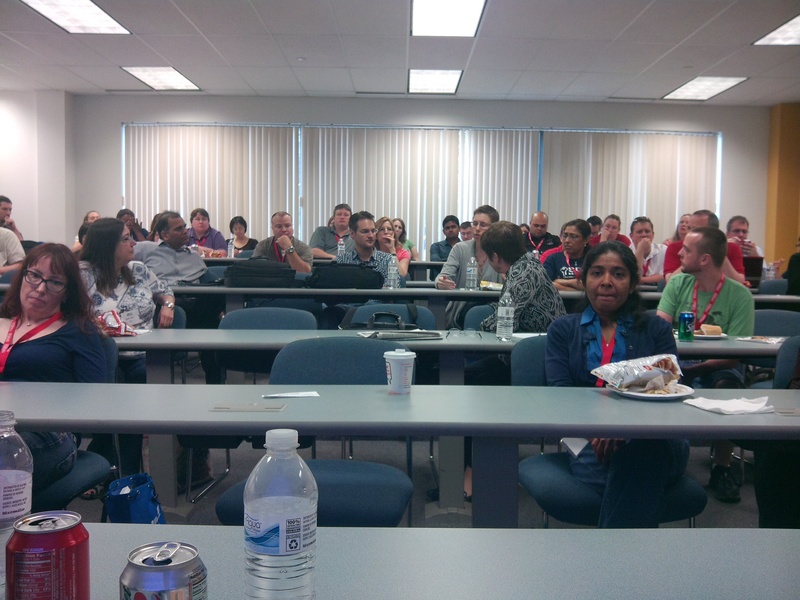 So it helped to have some very heavy SSIS folks in the room to assist with questions. Thanks Bill Fellows (blog|twitter) and Norm Kelm (blog|twitter). I got some good constructive speaker feedback in the end that I am definitely going to incorporate into this session next time. Right after my presentation was the WIT panel lunch discussion. I always love these and was very happy to sit on the panel when Wendy (blog|twitter) asked. Wendy moderated and I sat with Erin Stellato (blog|twitter) and Shelly Noll (blog|twitter) on the panel. As always we had a lot of great back and forth with everyone. There were a few topics that popped up such as competitive team members and technical vs management (very much something I struggle with). One of the main topics of the session were if you have to be assertive to be heard. We also talked about aggressive vs assertive. Great discussion as always. I apologize for making folks watch me eat during this, my fear of missing a meal trumped fear of looking like a yahoo. 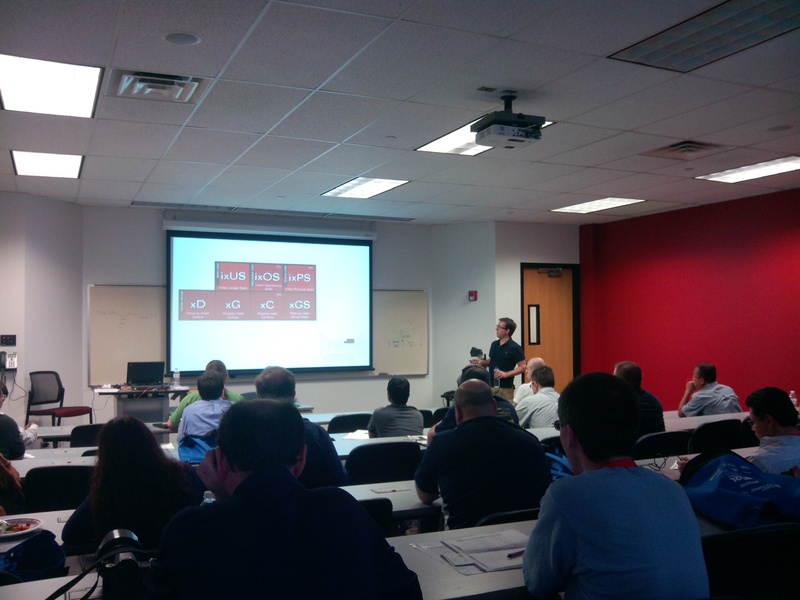 Then I got to sit in on Tim Ford’s (blog|twitter) session “The Periodic Table of Dynamic Management Objects”. I wasn’t sure if I had ever seen Tim present and was very glad checked out this one. You could tell he put a lot of time and effort into this session. Had a great visualization (actual period table laying out and grouping of the DMOs). A lot of great information and he has a great presentation style. Definitely can tell not his first rodeo and he is swell and that shows through for sure. Tim Ford getting his DMO on! Next up was Argenis Fernandez (blog|twitter) and his “Troubleshooting SQL Server with SysInternals Tools” presentation. Argenis is a super great guy and a new MCM so was very interested to see his presentation style. It was a very good presentation and I took away a lot. I wasn’t familiar very much at all with the SysInternals tools he used. I have to admit I was a bit freaked out with folks trying to do some of these things he showed but still good info. For example he showed how he got into a locked out system where you lost sa password. Last session of the day was Erin Stelleto’s (blog|twitter) “DBCC Commands: The Quick and the Dangerous”. This was I think my favorite presentation of the day. She is super great and had a lot of great information on DBCC commands. She showed some very helpful DBCC commands such as DBCC SQLPERF(logspace) but also a lot of focus on integrity checks and corruption. She went through a few examples of corruption and what you can do to fix it. I think that’s super helpful to have some practice runs with corruption for new DBAs. I envision that session helping quite a few DBAs in those corruption-sky-is-falling situations. Then hoping to up my karma points I take my dear friend Argenis to the airport to head back to Seattle. Then haul it back for my favorite part, the aftermath! 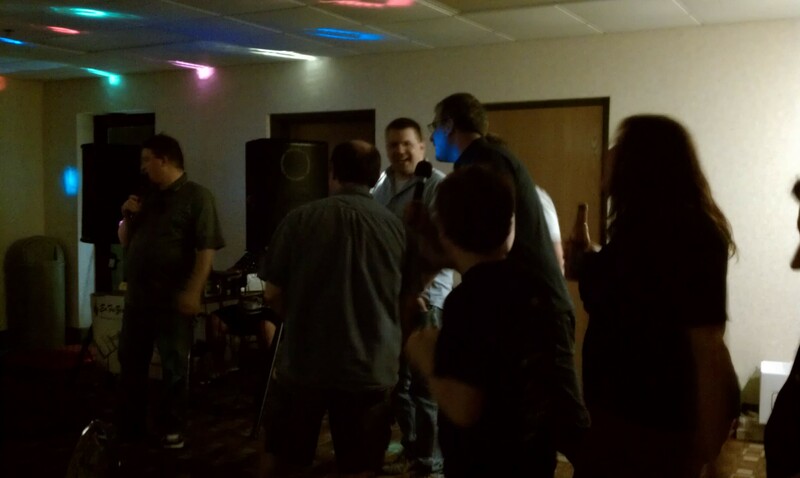 They had the afterparty at the Hampton Inn in one of the convention rooms. They brought in a KJ for the phenomenon called SQL Karaoke. They had food brought in for folks from Famous Daves which was super nice. I didn’t have to worry about making a meal out of appetizers and I didn’t have to worry about driving or finding a designated driver. Could sit back and relax and visit with everyone. I got to meet some folks from Twitter such as the very popular SQLCheesecake (aka Dustin Mueller) (twitter). I am still an innocent bystander in the way of karaoke. No one should have to hear me sing but I’ll be damned if they don’t keep trying to get me to do it. They failed again but they are a persistent bunch so maybe one of these days I’ll cave. 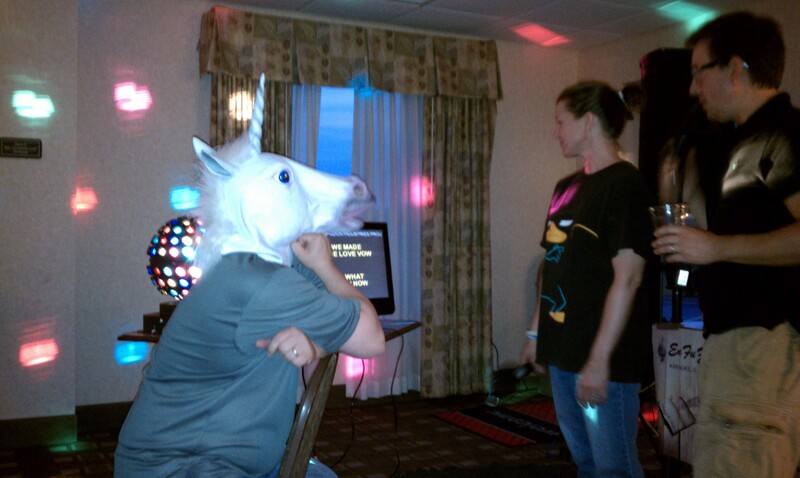 Jason brought out the disturbing and supposedly foul smelling unicorn mask (I took everyone’s word for it on the funk…I wasn’t that curious). Mark Villiancourt (blog|twitter) kills me at SQL Karaoke. An honorable mention for his Gilbert Godfrey doing Cyndi Lauper’s “True Colors” but of course my favorite is his “Star Wars Cantina” to the tune of “Copa Cabana”. Jason Strate (blog|twitter) also did some songs in his so wrong it’s right kind of way. Then there were some who were super ambitious and went out dancing. I hung back with several others and stayed in the lobby just chatting. I felt bad hijacking Rob Farley (blog|twitter) into talking so late that he was damn near dilirious. There were a group of us that I think stayed up till 2:00 just chatting. It was so great! I so love having the opportunity to hear the stories of everyone and soak up any and all advice they give. 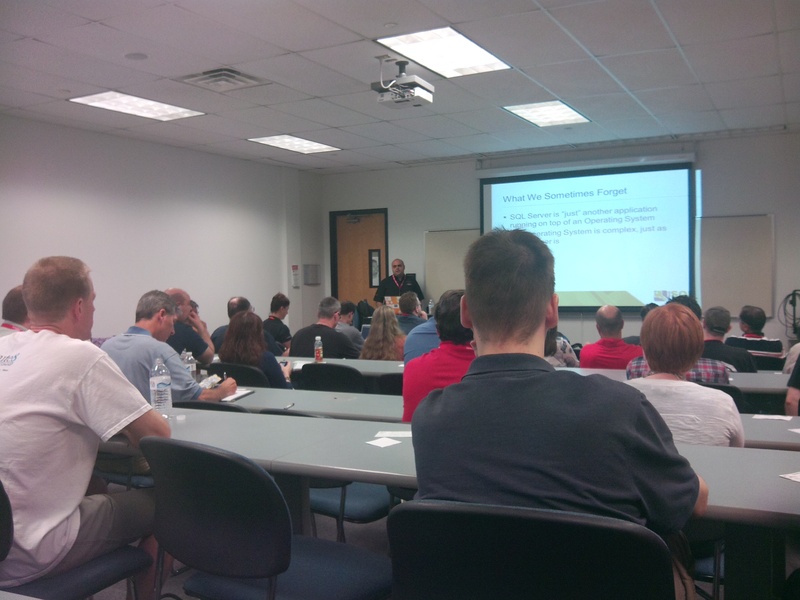 Another fantastic experience at SQLSaturday Chicago! All you guys who organized this did just a fantastic job! It seemed to go really smoothly but I know that is because you guys made it appear that way. I hope I can take some of that into ours coming up in Indy. Thanks for having me again! Previous postI So Got My FreeCon!